Today I played along with 3 challenges that have a One Layer Card focus. Inkspirational Challenges #145 Designer’s Choice, Less is More Challenge #350 OLC Stars and Creative Friday Challenge #190. For this card, I thought I’d do some masked sponging to create layers. I used a misc. set of star dies, a MFT stamp set called “Bold Sentiments’ (now retired), Catherine Pooler Designs inks in Black Jack, Sweet Sixteen, Pixie Dust, Flirty Fuchsia. Firstly I die cut the stars from some masking paper and masked each star and sponged the inks for each star, then stamped the sentiment, added a sponged black stripe and some black sequins for that final bit of pop. Today I’ve played along with 2 challenges at Tic Tac Toe Challenge #19 (I chose the line of coffee, gold & pumpkin) and Just Us Girls #415 (Window/Peek-a-boo card). I took some liberties with the use of pumpkin and decided to use that in my sentiment rather than an image or colour – LOL. I used a stamp and matching die set from Stampin Up called “Coffee Cafe”. I die cut out the largest coffee container and filled it up with some gold sprinkles from PTI that I got in a kit some time ago. I then created the sentiment on my PC using a font called “Dancing Jungle” and then I tied some gold thread to the top for balance. Author tinstar05Posted on October 15, 2017 4 Comments on Pumpkin spice latte anyone? I had a lot of time crafting this weekend as Miss K (my daughter) spent the weekend at her Grandma’s house. They love having time together and they were going to see the theater production of Aladdin. Here’s just a few cards that I made. Card #1 – I played along with the current Muse #237 challenge where I was inspired by how Tracey just coloured a portion of her stamped flower image and stamped her sentiment in the bottom left corner for balance. I used a stamp set from Concord & 9th called “Hello Lovely” and created a bit of a highlight effect with the mounted popped up coloured piece of the flower. 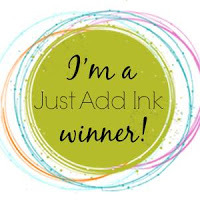 I used Stampin Up inks in Rich Razzleberry, Melon Mambo & Old Olive. Card #2 – I played along with 2 challenges from Merry Monday #260 which was a sketch and Christmas Card Challenges #23 which was a photo inspiration. I loved the simplicity of the sketch and the colours of the inspiration photo and I really really need to get started on my Christmas card stash. After a long couple of days at work, I really needed to craft to help reset my mind and help me relax. Card #1 – I played along with the challenge over on The Ton with a fabulous mood board. I was inspired by the colours of the flowers and the heart image in the board. I used a gorgeous set called ‘Marvelous Perfumes’ and stamped 2 of the bottles and gold embossed then roughly colouring in with my Zig markers. I added some gold thread in a messy pile and added them to a cream heart doily. Card #2 – I played along with 2 challenges; CAS-ual Fridays Stamps sketch and The Card Concept inspiration photo. I was inspired by the colours of the photo, the creams and subtle blues and the sketch layout lead itself to a clean and layered style card. I used CAS-ual Fridays stamp set called ‘Loving Thoughts” which I white heat embossed on vellum and then coloured the back with my blue Zig marker; dimensionals, a pearl and some gold tape finish the card off. I’m feeling pretty relaxed now, so might head off to bed. Thanks for looking and have a great night/day! For the last 2 months I’ve played along with the Gerda Steiner Designs monthly challenge. Your first month you need to purchase the digital image but once you’ve done that and then entered the challenge you automatically get the next months challenge image and so on. I printed the image on some SU Whisper White card stock and then coloured him in with my new SU Stampin’ Blends markers. The sentiment is from an SU set called “Jar of Love” and was a perfect fit for his sign. Lastly I added some SU linen thread to the top. I love the digital stamps Tiddly Inks creates and with the launch of their new blog they have a 2:3 challenge this month. They had 3 themes -> Floral, Girly Girl & Anything Goes (my choice). Well, I’ve been wanting to colour the frog from their Froggie Thoughts digital stamp and when I received my new Stampin’ Up Stampin’ Blends yesterday, I knew the Old Olive markers would be perfect for my frog prince. You can’t really see it in this photo but I added Spectrum Noir Sparkle to the crown. Now I know I need to practice my colouring with these markers, but I don’t think this is a bad first attempt. Today I’m playing along with the current challenge over on The Flower Challenge blog. The challenge is to use your favourite flower, there are terrific sponsors and prizes (I’d love to win the Concord & 9th prize) as this challenge celebrates TFC’s 1st Birthday, so why don’t you join me in playing along. Well, I found it rather hard to choose just 1 favourite flower stamp set but managed to narrow it down to 2. The first card uses a background stamp from The Ton called ‘Dahlia Close Up’. I white embossed the stamp and then messy water coloured it using my Zig markers. The sentiment is from Altenew called “Label Love” and I added some silver thread behind the sentiment for that little extra touch. This next card using a stamp set by Altenew called “Magnolias for Her” which I white heat embossed, coloured with my Zig markers and then fussy cut out and popped up on dimensionals. The sentiment is from a PTI set from the “Beautiful Brushstrokes” kit which is retired. As you can tell from a number of my posts, I love to messy water-colour. One day I might learn how to neatly water colour!